In one recent domestic project, Pro Coatings Solutions were asked to conduct a uPVC colour change in a domestic property in Sunderland. 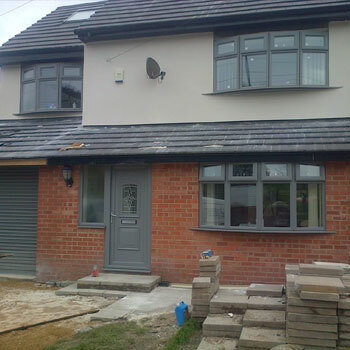 In this project, a customer contacted us to change the colour of his uPVC windows and doors. Having just installed a new grey bi-fold door at the rear of the property, the customer wanted to bring the aesthetic of the other uPVC windows and doors in line with the colour of the new door. The brief was to change the colour of the standard white uPVC windows and doors in the property to a silver grey finish to match the look of the bi-fold door. For the Pro Coatings Solutions team this was no problem at all. Changing the the colour of white uPVC is a growing trend, and we are often asked to complete such project here at Pro Coatings Solutions. Our team of skilled and experience painters were able to fulfil the customer’s colour choice, and resprayed the uPVC windows and doors to the required silver grey. We carried out this project over the course of a day. The customer was thrilled with the finished result.